"Every sovereign state has a right to make their own decisions for their national security interests and necessities at the end of the day," said one of the foreign envoys in Ankara during our conversation at a special dinner a couple of weeks ago. As expected, we were talking about Turkey's recent purchase of Russian-made S-400 missile defense systems and its possible repercussions in Washington. Today, it seems the purchase has become the most prominent factor in Turkish-American relations that have deteriorated due to Washington's ongoing reluctance to understand Turkey's national security concerns. However, it is not a new phenomenon; we cannot just hold the current administration to account but also the previous Barack Obama administration's policies towards Turkey, which were unfitting for bilateral relations in the NATO alliance. In fact, since the second term of the Obama administration, Washington has had difficulty comprehending its NATO ally Turkey's national security concerns. Also, the U.S. approach to this alliance does not seem to accept Turkey's expectations to redefine the alliance based on equal terms and conditions. Meanwhile, Turkey's national security concerns have intensified as a result of Washington's recursive policies on Syria. In particular, Washington's close affiliation with the PKK's affiliate in Syria, the People's Protection Units (YPG), which started emerging during the Obama administration, has created today's long-simmering standoff between Turkey and the U.S.
Now, at the crossword of two necessary defense purchases, S-400 missile defense systems from Russia and F-35 fighter jets from the U.S., Turkey has been put in a position where it has to make a choice between two crucial purchases for its own security necessities. On the other hand, it's clear that Turkey made its very first offer to Washington to purchase Patriot missile systems in 2013 but couldn't finalize mutually agreed terms. On Wednesday, Foreign Minister Mevlüt Çavuşoğlu said that Turkey could purchase a second S-400 missile system package, if the U.S. doesn't sell Patriots to Ankara; a remark that was welcomed by Russia. Çavuşoğlu also pointed out that Turkey has urgent needs to fill, otherwise has to go for other options. He added, "We are not in the rose garden," referring to geographical drawbacks experienced by the country. Based on Çavuşoğlu's last sentence, Turkey's position on this purchase becomes more apparent. First, an ongoing situation in Syria has created a security vacuum in the whole region, especially along the Turkish-Syrian border. Although, Turkey has repeatedly requested air-defense system support from NATO, the need has not been fulfilled. In contrast, in 2013-2015, U.S. Patriots were deployed in Gaziantep since Germany and the Netherlands' Patriots were in Kahramanmaraş and Adana, finished their mission and returned in 2015. Now, under the NATO umbrella the only remaining air-missile defense systems deployed in Turkey are Spain's Patriots in İncirlik, Adana, and Italy's SAMP-T in Kahramanmaraş. Since Turkey's urgent need for its own missile defense system is unsolved, NATO and especially U.S. support remain long-delayed. In contrast, Washington portrays itself as willing to sell Patriots to Turkey but always has some excuse, such as technology sharing and high financial costs. This has been an ongoing issue since 2013, and the U.S. has never come close to an agreement with Turkey. U.S. unwillingness to sell Patriots has resulted in Turkey's current stance, which was actually generated and forced by the U.S. itself. Now, Turkey considers purchasing other missile defense systems and even S-500s as President Recep Tayyip Erdoğan indicated last month. He also asked why the U.S. has not put the same pressure on Greece, Slovenia and Bulgaria, which are also NATO members, due to their purchase of the S-300 from Russia. In addition, Russia has sold S-300s to 20 countries, including NATO members, such as Croatia, and S-400s to Belarus and China. Turkey is not the only buyer of the S-400 as U.S. allies India and Saudi Arabia are also recipients of the new generation Russian missile systems. 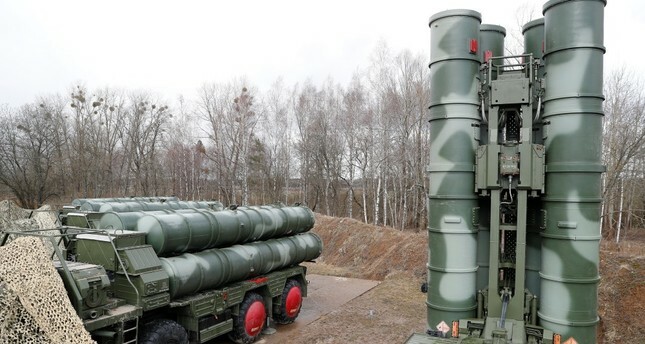 Reiterating the envoy's view asserting that every state has a right to make its own decisions for national security concerns, NATO Secretary General Jens Stoltenberg said the same thing about Turkey's decision to purchase S-400s. "Every state has the right to make their national decision to increase their military capacities," he said. Overall, Turkey's decision is perceived as reciprocal and reasonable, as it is the natural right of every sovereign state. However, it seems be another pretext unless Turkey and the U.S. agree on fundamental issues in bilateral relations and regional problems that are direct national security concerns for Turkey.